Katharina Anna Kolling-Weidner. Courtesy of Patricia Weidner-Waite, Waukesha, Wisconsin. [S314] Hugo Jacob Weidner, Minnesota State Department of Health; Division of Birth and Death Records and Vital Statistics; Certificate of Death. [S432] Leander A. Weidner, Minnesota Department of Health; Section of Vital Statistics; Certificate of Death. [S511] Leander Andrew Weidner, Birth Certificate not stated (25 Jan 1900). 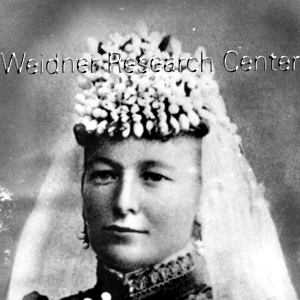 [S521] Theresa Marie Elafros, "Patrenella Weidner-Elafros Family Group Sheet", During the summer of 1992 I met with the William Elafros family. Present were his wife, Rose, their daughter Theresa and her husband, David Massa. Theresa wrote in some missing information and included pertinent dates for herself and family. Also present were my father Ralph, mother Victoria, brother Stephen and his wife Tresa. [S613] Petronilla M. Elafros, State of Minnesota; Division of Vital Statistics; Certificate of Death. [S633] Roman G. Weidner, Minnesota Department of Health; Section of Vital Statistics; Certificate of Death. [S1359] Daily Times, 20 Feb 1984, p. 8B, col. 5. [S247] Catherine Weidner, Minnesota Department of Health; Division of Vital Statistics; Certificate of Death. [S314] Hugo Jacob Weidner, Minnesota State Department of Health; Division of Birth and Death Records and Vital Statistics; Certificate of Death, state of birth only. [S432] Leander A. Weidner, Minnesota Department of Health; Section of Vital Statistics; Certificate of Death, state only. [S474] Letter, S. SJS, Priscilla Burke to 938 Canterbury Lane, Waukesha, WI 53188-5520 Patricia Weidner-Waite, 02 Aug 2001, birth location only. [S511] Leander Andrew Weidner, Birth Certificate not stated, birth state only (25 Jan 1900). Also present were my father Ralph, mother Victoria, brother Stephen and his wife Tresa., birth date only. [S613] Petronilla M. Elafros, State of Minnesota; Division of Vital Statistics; Certificate of Death, Birth state only. [S633] Roman G. Weidner, Minnesota Department of Health; Section of Vital Statistics; Certificate of Death, Birth state only. [S1252] 13 Aug 1870 1870 U. S. census, Stearns County, Minnesota, population schedule, Munson town, Torah post office, page 66 (stamped), dwelling 143, family 143, Chicago, Cook County, Illinois, USA, National Archives micropublication, 2 years of age at time of census, born in Minnesota. [S1353] St. Cloud Daily Times, 03 Jun 1953, p. 3, col. 6, Obituary states she was born on 17 March 1867 in Richmond [Minnesota]. [S246] Stearns County, Minnesota, Marriage Book: date, city, state. Also present were my father Ralph, mother Victoria, brother Stephen and his wife Tresa., death date only. [S1353] St. Cloud Daily Times, 03 Jun 1953, p. 3, col. 6, Death date, city. [S1352] St. Cloud Daily Times, 21 Aug 1951, p. 3, col. 6.